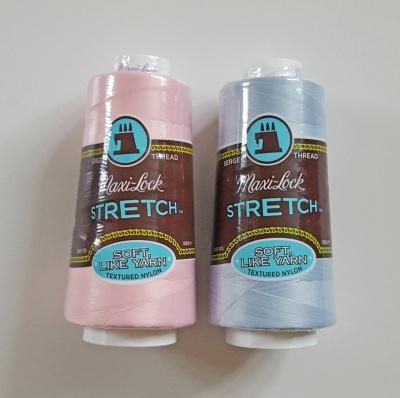 Maxi-Lock Stretch thread is a textured nylon thread designed for use on serger and overlocker sewing machines. Each reel contains 2000yds (1828m) of thread. 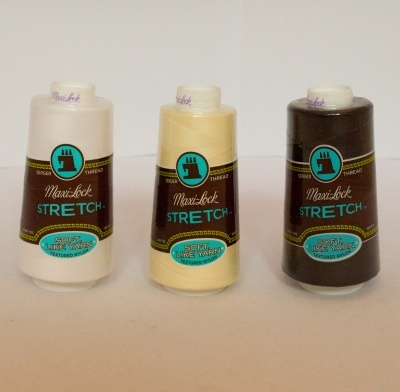 Double wrapped which is brilliant as the odd accident can happen in the postal system. 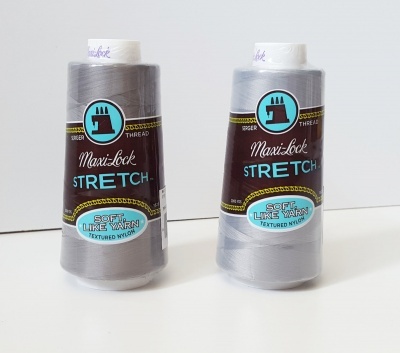 Would recommend the Maxi Lock steetch thread for sewing stretch knits, I've used it for years with success.